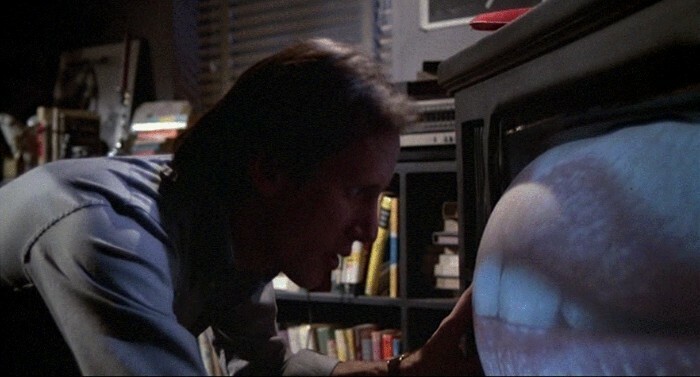 VIDEODROME (1983), film still | © 1982 Guardian Trust Company. How is cultural knowledge reproduced in pictures? What does the increased individualization of perceptions mean for our shared reality? With every transformation in the media, images negotiate the visible and the invisible anew. Can there even be such a thing as a global or collective iconology? For the tenth edition of the Dictionary of Now, Hito Steyerl, W.J.T. Mitchell and John Tresch reflect on contemporary paradigms of perception and the politics of images by surveying strategies of truth production and the reality claims of the visual against the backdrop of debates about post-truth. The art theorist W.J.T. Mitchell outlines three phases in contemporary visual studies against the background of the “pictorial turn.” What happens when machines begin to cultivate their own visual languages? In his lecture, the historian of science John Tresch queries the universal interpretability of signs and symbols. Using the phenomenon of food photography, he reveals how the social media can be read as cosmograms of the present. In virtual reality, viewers move from the margins to the center yet they can never grasp the entire picture of digital reality. They are the blind spot, the empty epicenter of a 360-degree panorama. The filmmaker and author Hito Steyerl examines this paradox of immersion, the “bubble vision,” in the spherical space of Pierre Boulez Saal. In the course of the long-term project 100 Years of Now, the Dictionary of Now series reflects the capacity of words to both describe and shape the world. Until 2018, notable representatives from the sciences, politics and the arts, from theory and practice will question established meanings of selected words against the backdrop of the latest discourses. A publication in 2019 will compile the words and people involved in each issue, interconnect them and give rise to new, dynamic constellation of knowledge production. The Dictionary of Now series is part of 100 Years of Now.